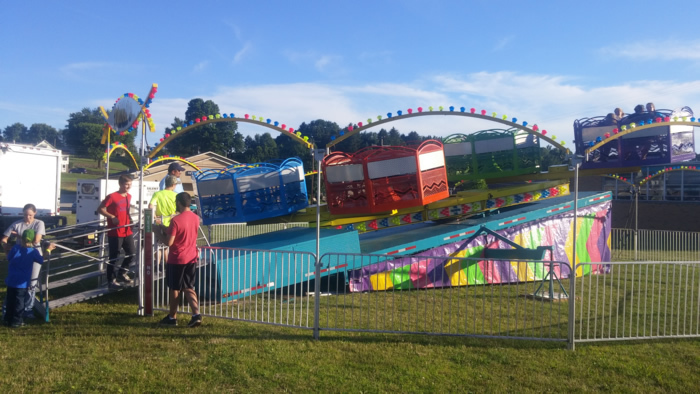 This kiddie ride is a great repeat attraction for the younger crowd. Passengers go round and round in the vehicle of their choice, prentending to drive like mom and dad. Height Requirements: Children under 54 inches. 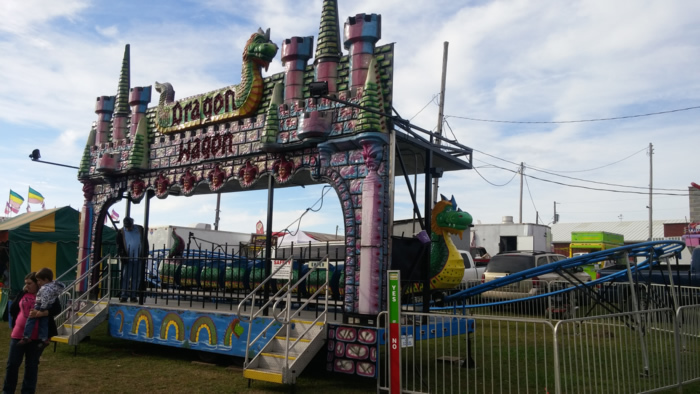 The Dragon Wagon for many, will be the first type coaster ride that they will ever experience. It is designed for safety as well as entertainment. It is one of our most thrilling rides in the children’s area. Height Requirements: Minimum height 36 inches. This is our special variation of the famous Moon Walk ride. 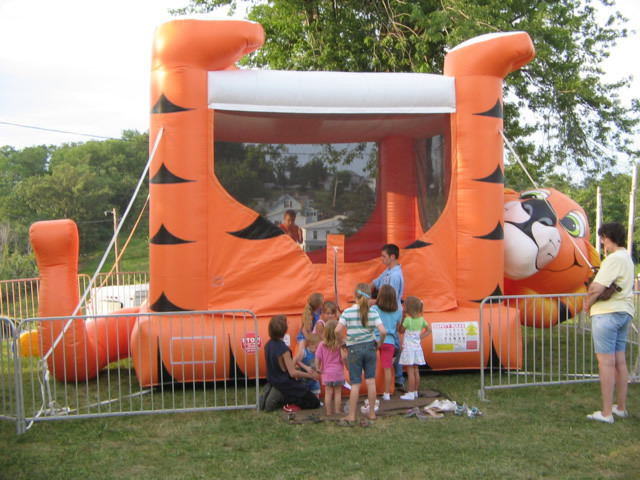 Even the smallest children now have an enclosed place to play, jump, and bounce. 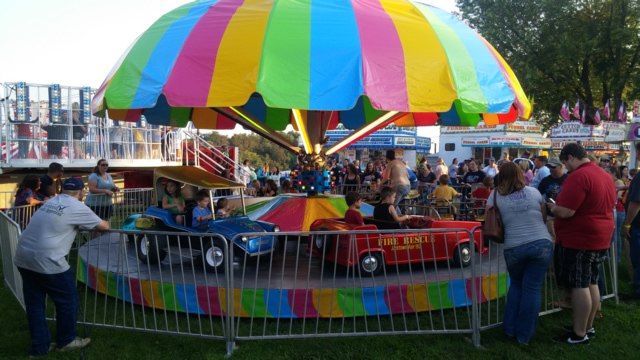 The Berry Go Round is a very popular family style ride. There are four separate berries in the main circle that families enjoy together. 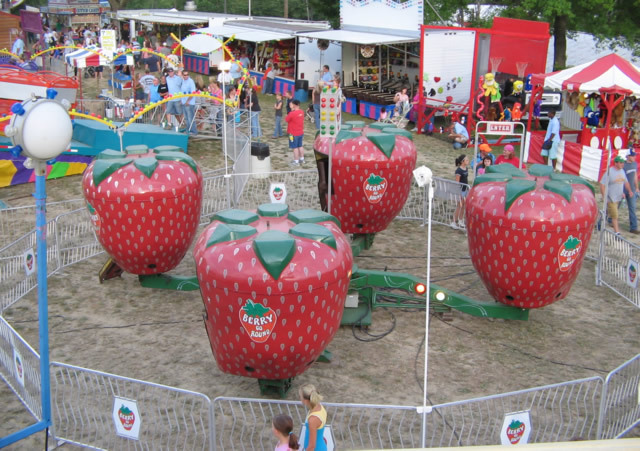 Each berry has a control wheel, so the passengers decide how much to spin. Height Requirements: 36 inches to ride alone. Suitable for adults too. In a world that often moves to fast, people still find time to take a trip down memory lane. 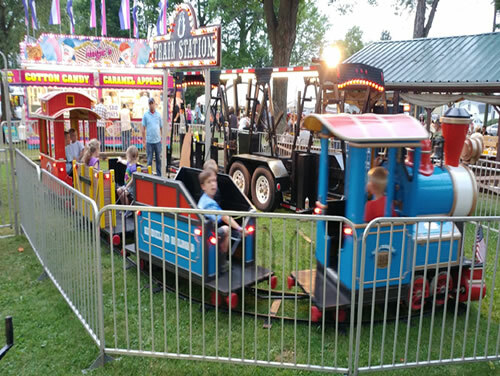 Children experience pure wonder at a young age, while parents and grandparents remember their own visits to the local fair or amusement park. 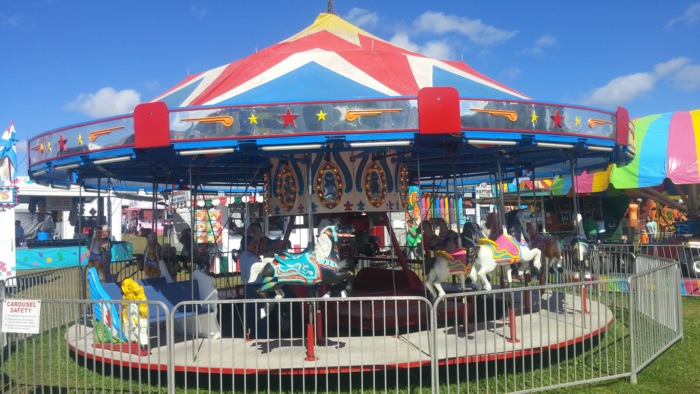 Colorful horses, chariot seating & music! Height Requirements: Recommended under 36 inches with an adult. This ride has 12 suspended passenger cars that are grouped together in clusters of 4. 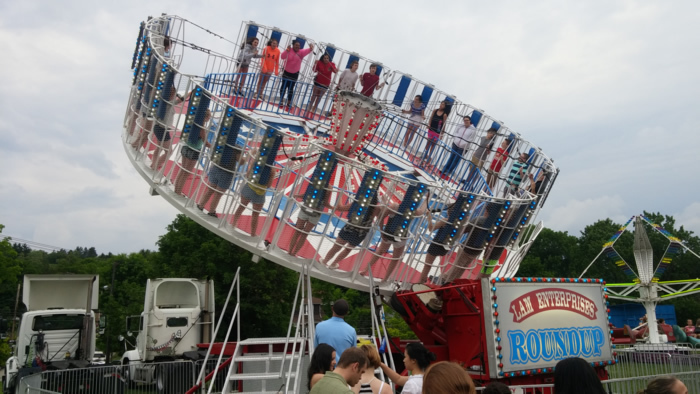 Each cluster will spin in a counter clockwise rotation, as the whole ride revolves in a circular motion. Hold on tight. Height Requirements: 42 to 52 inches w/ adult. Over 52 inches alone. This ride offers the feeling of being weightless. Patrons load into double seat carriages, and then are secured for take off. The two pendulum arms swing back and forth, before thrusting the passenger carriages over the top for a full 360 degree ride (both directions). Height Requirements: 42 inch minimum. Dimensions: 30 ft. x 45 ft. It is our modern version of the OLD FAVORITE chair swing ride. This beauty features flashing LED lights, custom seats, and far out graphics. A hit at any type of event. This attraction is a one start / stop ride that permits everyone to board and exit together. 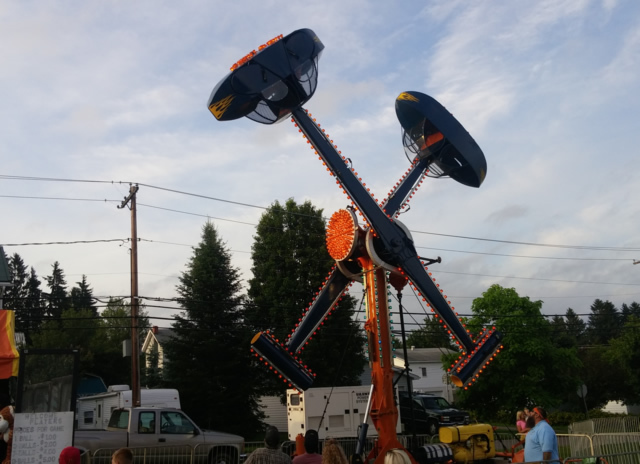 Passengers will stand in a given perimeter position, and once secured, the ride begins to spin in a clockwise rotation. When max speed is reached, the ride elevates to a 45 degree position. At 115 feet long, ours is one of the largest 3 lane slides being offered in Western PA. 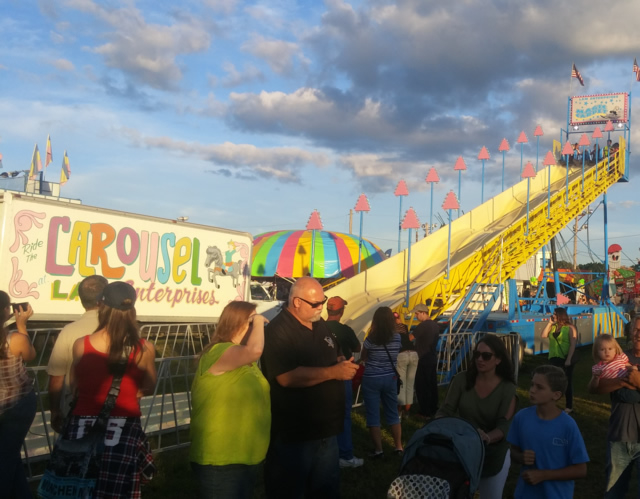 The slide offers a great aerial view of any event and smooth ride for young and old. Height Requirements: 40 inch minimum. Dimensions: 20 ft. x 115 ft.
An adventure for all the young thrill seekers. This is a safe play obstacle course with a variety of challenges, photo ops, and a slide all in one. 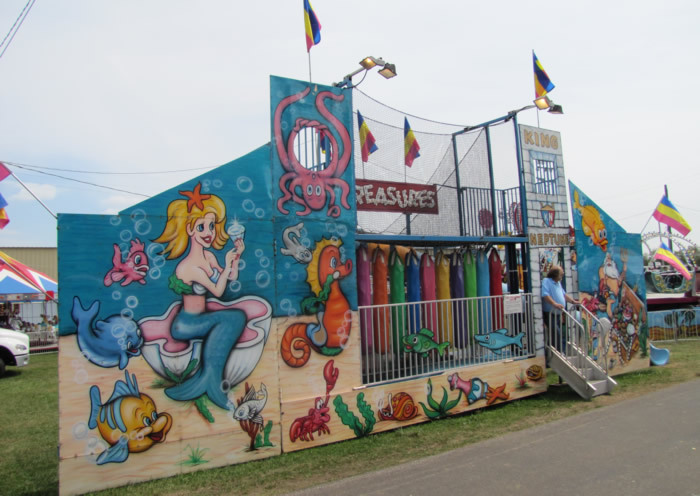 Dimensions: 48 ft. x 15 ft.
Another American classic ride that seems to be a staple in the amusement industry. 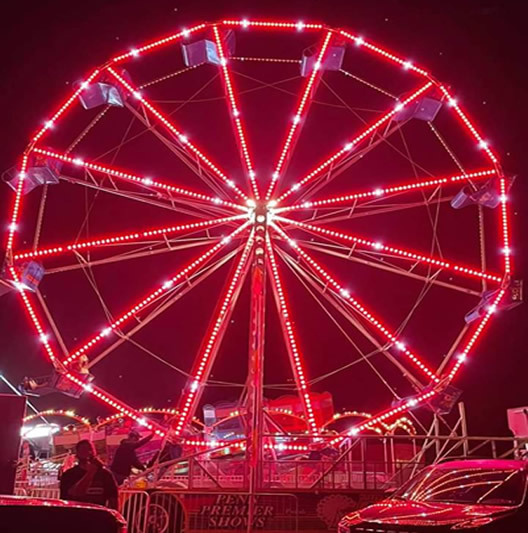 Our Ferris Wheel has 12 seats, and towers over 40 feet tall. 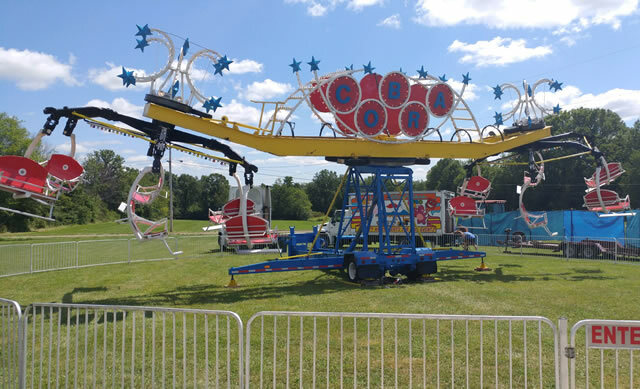 Another ride for the thrill seekers to enjoy or create memories. Height Requirements: 36 inches to 42 inches w/ adult. Over 42 alone. 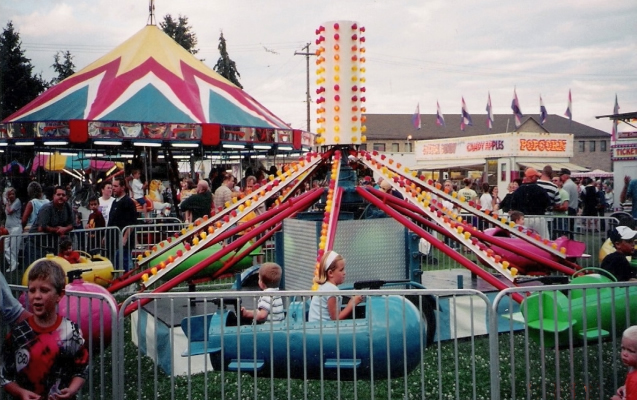 Dimensions: 45 ft. x 25 ft.
A ride designed to be simple, with the younger children in mind. A slower pace plane swing that puts the wind in your face with a Cartoon favorite. Height Requirements: Under 54 inches. This attraction has 4 separate octagon cars, each holding 7 passengers. The ride operates in a zig zag motion, while all the time turning in circles. It is a fast action ride that delivers a totally unique experience. Height Requirements: Over 48 inches. 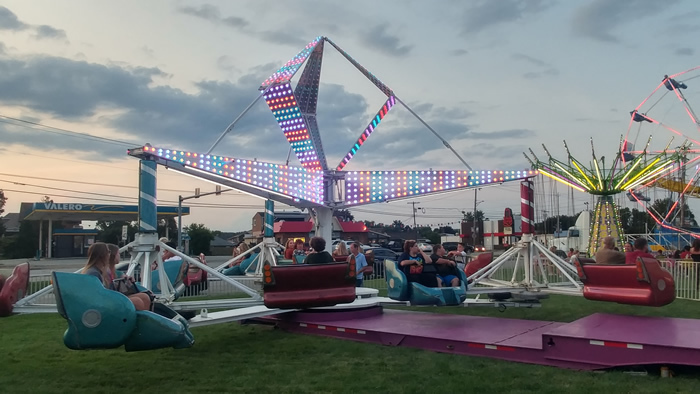 This ride offers the thrill of flying and being in a jet fighter plane. 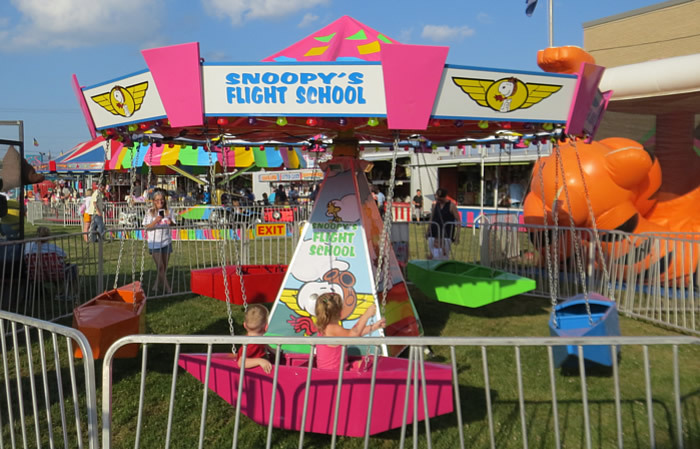 Each child will have their own seat flying in circles, as well as up and down. A steady favorite to all small riders. Height Requirements: Over 32 inches, and under 54 inches. Trains have been a part of America for well over a century. Thus, a very popular ride for our young visitors. Height Requirements: Recommended under 54 inches. The Cobra is a fast action ride that spins passengers in all directions. 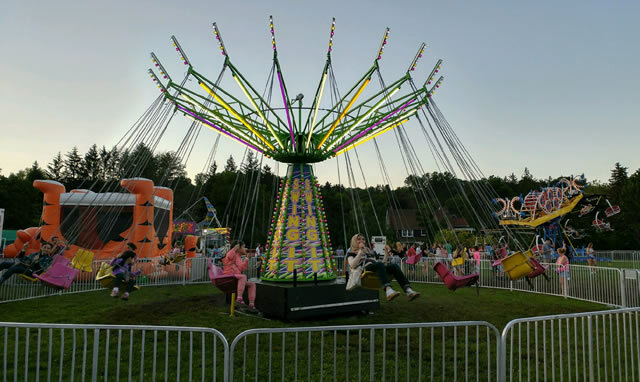 As both of the outer seat spindels rotate, the free hanging chairs swing outwards, as the main boom turns. Height Requirements: 44 inches with adult / 48 inches alone. © Penn Premier Shows. All Rights Reserved.